Day 92 of #the100dayproject and my #realandendangered project. I was on the fence about including this species (because maybe they are more known than others on the list), but at the end of the day, they do indeed personify the essence of Real and Endangered. 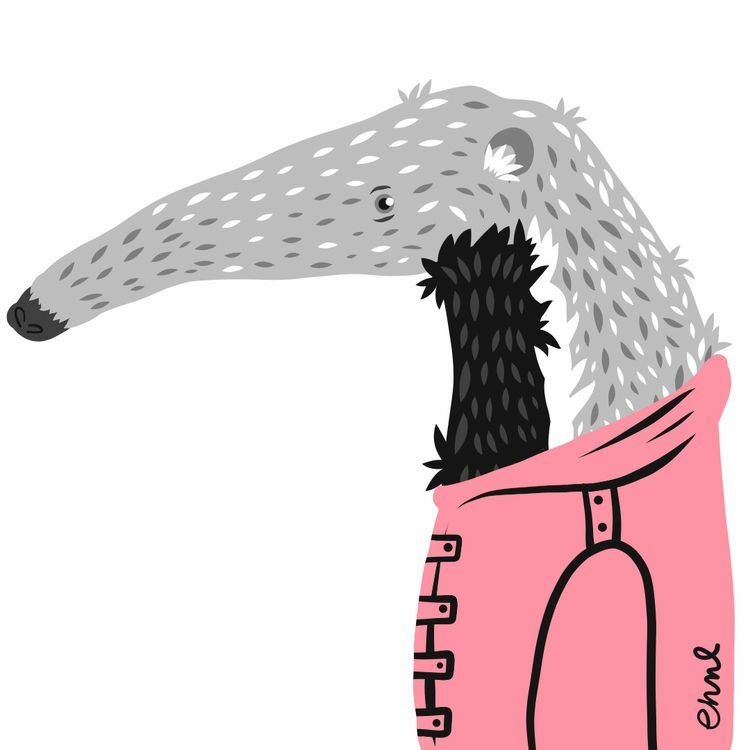 Without further ado: the Giant Anteater (which is recorded from Central America through to Bolivia, Paraguay and Argentina). It's difficult limiting my facts to five; this species exudes cool facts: 1. As the name implies, they are the largest of the living anteater species - about the size of a golden retriever. 2. They have the longest tongue in relation to its body size of any mammal. It can measure up to 50 centimeters in length (around 19.5 inches). 3. They are good swimmers, even doing a freestyle stroke and utilizing their long snout as a snorkel. 4. They consume 30,000 ants or termites a day! 5. They have poor eyesight, but luckily for them their sense of smell is 40x more powerful than humans.